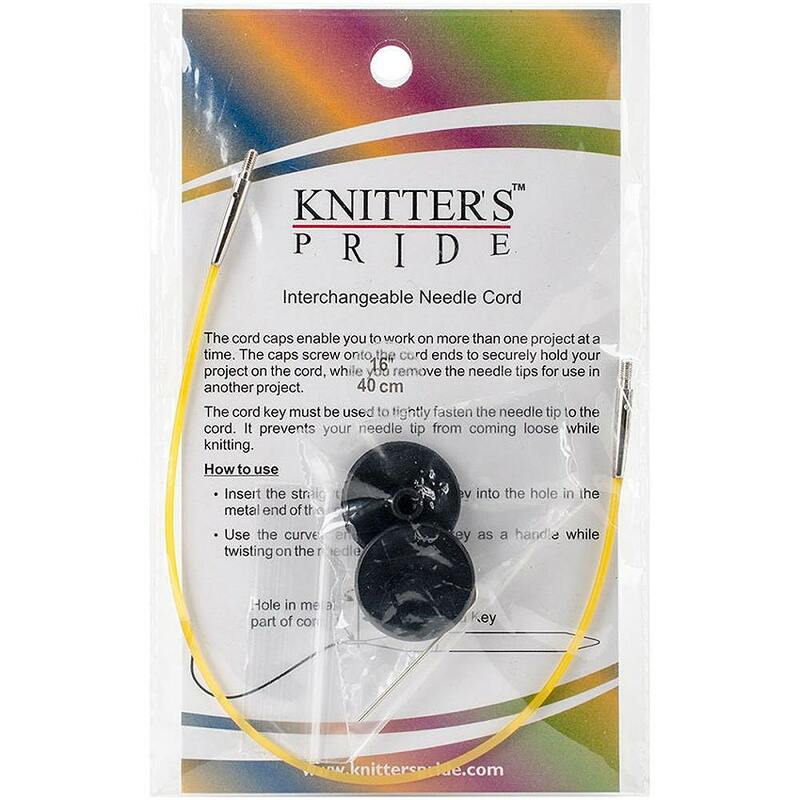 16 inch cable join lets your stitches slide around your knitting needles with no snags while the long threaded join ensures that your cables and knitting needle tips stay securely in place. Note that these cables work perfectly with Knit Picks interchangeable needles. Contact me if any questions. 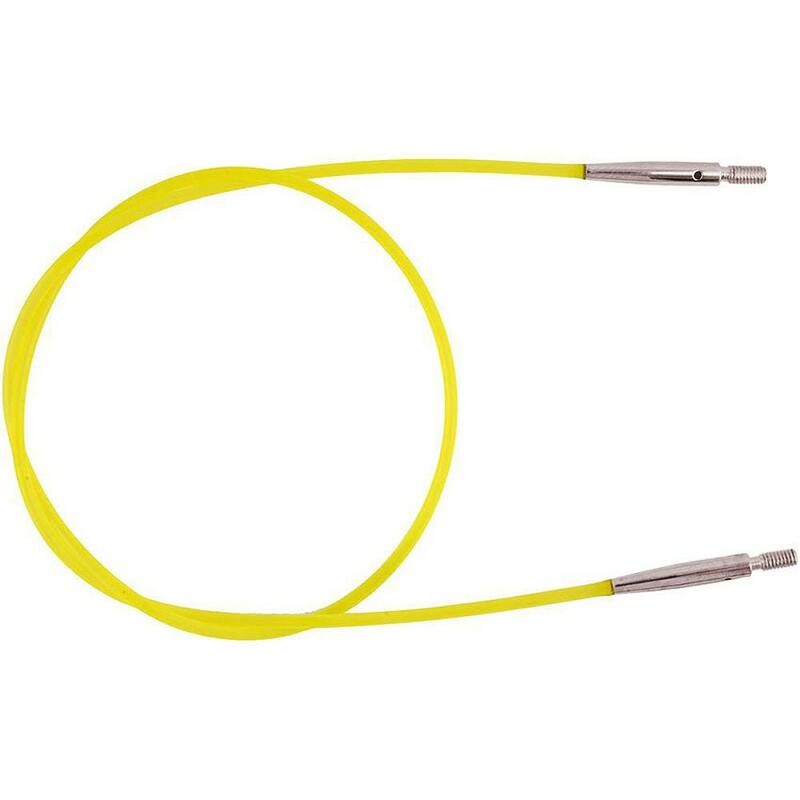 Additionally, the flexible yellow cable has very little memory so you can start knitting immediately. The cord caps enable you to work on more than one project at a time. The caps screw into the cord ends to securely hold your project on the cord, while you remove the needle tips for use in another project. Includes one cable, yellow in color, 2 end caps and one cable key. Sizing of these interchangeable cables refer to the total length achieved when the needles tips are attached to the cables. Shipping will for US will be First Class up to 13 ounces, and Priority for 14 ounces and up. You can also choose Priority or Priority Express Shipping if desired. Overpayments of shipping will be refunded. International ships First Class International. Quick shipping and lovely service. Arrived quickly!! Item just as described, perfect fit! Can't wait to cast on a new project! Thanks!! Item as described-just what I needed! Received it super fast-just when I needed it!